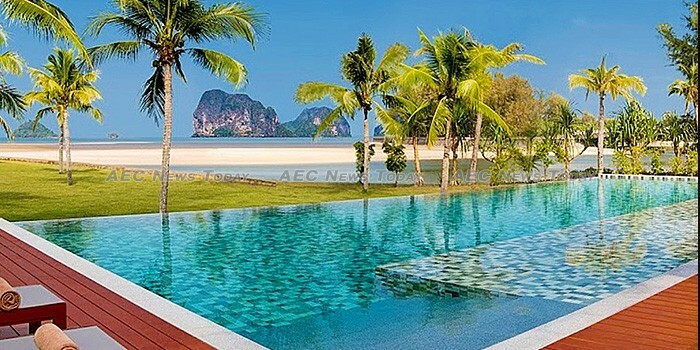 Those planning a holiday at Thailand’s luxurious Anantara Resort Si Kao might be best advised to confirm their booking before making the journey to Thailand’s easternmost province after a court yesterday (January 26) ordered the premises removed. According to a Thai PBS report, the order by the Thailand Supreme Court sitting in Trat brings to an end a five-year long battle by Thailand’s Department of National Parks, Wildlife and Plants Conservation (DNPWPC) to evict the 5-star resort, after aerial and ground surveying showed it had encroached on protected forest and mangrove forests. Part of the Minor Hotel Group (MHG), Anantara Resort Si Kao is situated on 5.92 hectares (about 14.63 acres) of land about one hour south of Krabi, along some of the Andaman coast’s most scenic, untouched beaches. Previously branded as the Amari Trang Beach Resort, it was acquired by MHG in 2008 and reopened later the same year as the Anantara Resort Si Kao, with rooms costing from US$89 to more than $1,130, plus tax and service charge, per night. Adjacent to the Hat Chao Mai National Park, the waters fronting Anantara Resort Si Kao are designated a marine national park. The possibility of encounters with dugongs features predominantly in the resort’s promotion material. 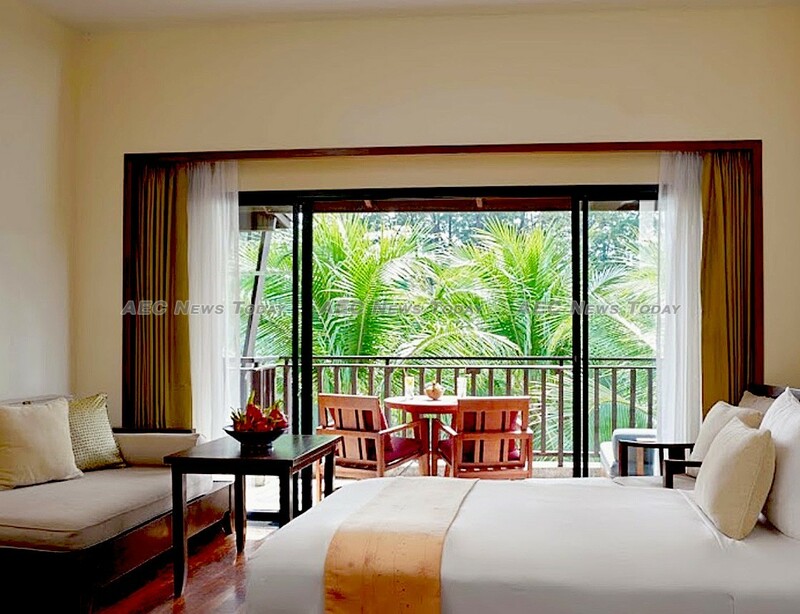 The DNPWPC first brought legal action against the owner of the resort, JBB Co., Ltd, a Thai registered company of which little is known, in 2013 seeking compensation of Bt4.4 million (about US$140,467), and the removal of Anantara Resort Si Kao. After the Trang Provincial Court dismissed the DNPWPCs application the matter proceeded to the Appeals Court which, in 2015, ruled against JBB Co., / Anantara Resort Si Kao. The company appealed the ruling to the Thailand Supreme Court the same year. In Friday’s Supreme Court hearing at which both the plaintiff and respondent were reportedly present, the court dismissed the DNPWPCs claim for compensation, reasoning that JBB Co., Ltd had merely purchased the land from the first owner. Nevertheless it ruled that the land ownership documents were illegitimately issued and ordered the Land Department to nullify them. The Thai judicial system provides no avenue to appeal a Supreme Court ruling. According to local media reports Hat Chao Mai National Park chief Manote Wongsureerat, who has been resolute in identifying and enforcing environment and encroachment law breaches since his appointment, said the court documents will be delivered to relevant authorities for processing on Monday. The drawn out legal battle and subsequent conviction for encroachment of protected forest and mangroves also takes some of the shine off Anantara Resort & Spa’s corporate social responsibility (CSR) programme which, according to the company, ‘tirelessly works to preserve the amazing destinations that we call home’. Since seizing power in a bloodless coup d’état in May, 2014, the Thailand military junta-backed government of Prime Minister General Prayut Chan-o-cha has devoted considerable resources to identifying, prosecuting and removing/ demolishing structures found encroaching on public land. Low hanging fruit such as beach deckchair vendors and crudely constructed beach beer shacks were the first and most noticeable signs of the crackdown. Subsequently, a string of successful prosecutions and well publicised structure clearances has increasingly emboldened the public to make complaints, and public officials to take action — with the Royal Thai Army (RTA) closely involved in face-to-face negotiations. 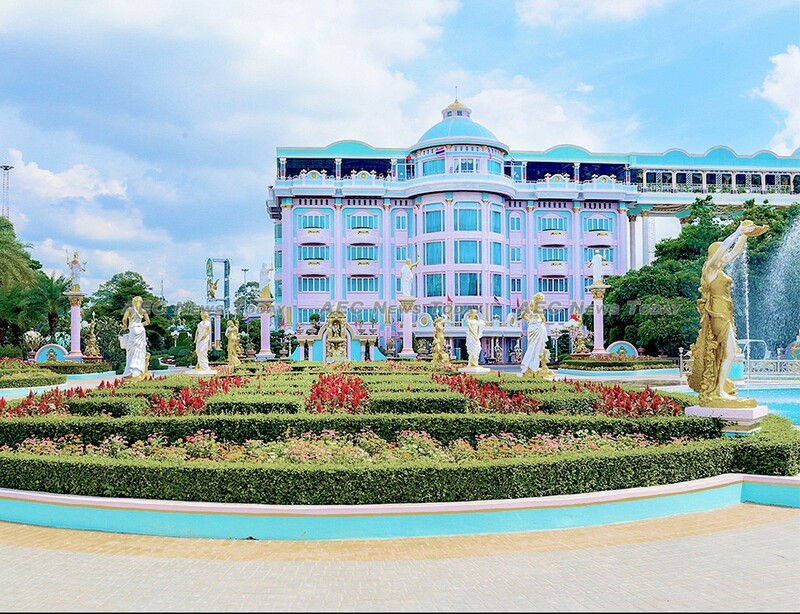 This past week an inspection following complaints by local residents against Sukhawadee House, an ostentatious Buddhism-themed tourist attraction in Pattaya found that some 1.76 hectares (4.35 acres) of its total 12.8hectares (31.63 acres) site was illegally occupying land reclaimed from the sea and therefore classified as encroaching on public land. Owned by Panya Chotitawan, owner of Saha Farms Co., Ltd which claims to be Thailand’s largest frozen chicken exporter, Sukhawadee House was also accused of sealing off a public road for private use, and parking large tourist shuttle buses along a public beach-front pathway to the mansion, resulting in damage to state property. Local authorities have ordered Sukhawadee House to remove the illegally built structures and to stop closing public roads for its own use while they consider what other action to take, in what promises to be a test of how equally Thai law is applied. In the meantime, the Thailand government and the DNPWPC has shown in recent times that both are prepared to “assist” property owners reluctant to follow demolition orders by supplying the necessary equipment and personnel to get the job done, although not necessarily with the finesse and care an owner-managed reconstruction would see. As to when the bulldozers will start ripping through the conference rooms, suites, and kitchens of the Anantara Resort Si Kao is unclear. However, the company’s website in addition to other popular online hotel booking sites was still accepting reservations through to at least the end of this year as at the time of publication. AEC News Today has reached out to Anantara Hotels, Resorts & Spas and will update this story upon receipt of its response. In the meantime, those planning their end of year vacation might be best advised to consider alternatives, just in case Anantara Resort Si Kao becomes the latest, and largest, success story of the Thailand government in reclaiming encroached land. 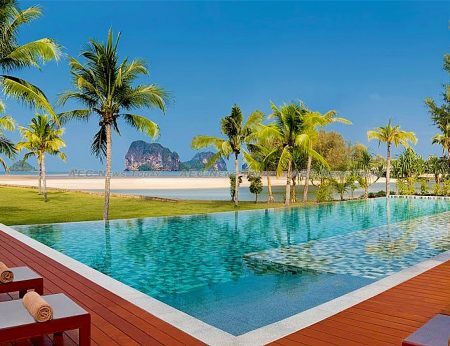 In a statement issued by Anantara Hotels, Resorts & Spas the company said the order last week by the Thailand Supreme Court has not resulted in any disruption and Anantara Resort Si Kao is continuing to welcome guests as usual. 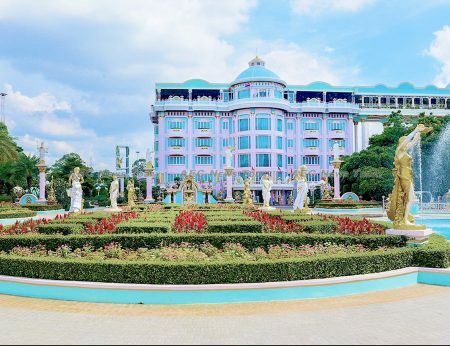 In an email the company said it is currently liaising with the owners of the hotel, JBB Co., Ltd, to obtain further details on when the resort is likely to have to close down and will start updating guests once the situation becomes clearer. The spokesperson said that as Anantara Hotels, Resorts & Spas only managers the resort it is not able to comment on how many jobs will be lost as a result of the closure. One Response to "Court orders Thailand Anantara resort demolished (video) *updated"